One summer day a player sweated all alone in a gymnasium long snapping footballs from the half court circle on the basketball court to a target hanging on the wall underneath the basket. No one in that community had ever seen a player do that before. A couple weeks later the same player walked up to local business owners at their place of business and handed them a card which stated the local football team was going to win a state championship that upcoming year. This was a feat the school never had accomplished. No one in that community had ever seen a player do that before. During the season fans noticed the same young man playing offensive center. Every play he would sprint from the huddle to the line clapping wildly as if to say, “Here we come!” How long had that young man been breaking the huddle that way? All year – every game. No one in that community had ever seen a player do that before. Later, during a playoff game, the same young man played ever single play of the game, never coming off the field during offense, defense and special teams. He was the only player who did. When the game was over he was so exhausted he collapsed on the way to the team bus. No one in that community had ever seen a player play to exhaustion before. Finally, during the state championship game, this young man snapped punt snaps on a field covered with eight inches of snow hitting the punter right in the hands. What made the feat more remarkable was he was wearing a pair of gloves that he could not remove because they had become frozen to his hands. The team went on to win the first state championship in school history thus fulfilling the prediction of the card. No one in that community had ever seen something like that ever done before. On a Sunday afternoon the player stood in front of a crowded banquet hall. He spoke about courage. He spoke about teammates. He spoke about loyalty. He spoke about love. Over $80,000 were raised that day for medical expenses. No one in that community had ever seen that done before. In life when you do what no one has ever seen done before – YOU MAKE A DIFFERENCE! Retired teacher/coach Tom has thirty-one years experience in the Missouri Public School System. He's a 17-time Contributing Author, Chicken Soup for Soul book series. 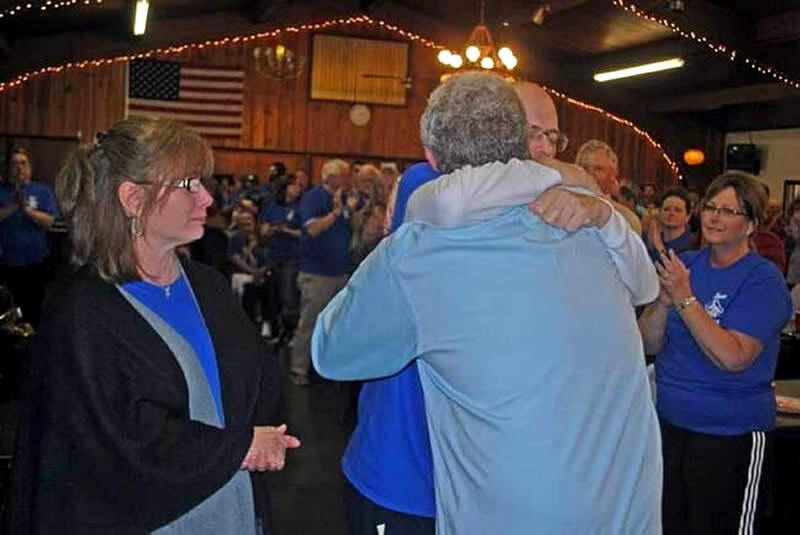 Author of - Touching Hearts-Teaching Greatness, The Little Boy's Smile, A Teen's Guide to NOT Being Perfect & GO BIG BLUE, The Story of the 1974 Boonville Pirates. International Motivational/Inspirational Keynote Speaker.